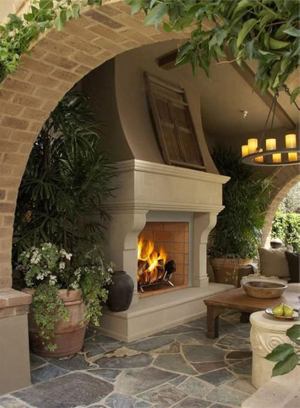 The Fireplace Man has a highly skilled team of fireplace experts that are trained in all forms of fireplace repair. We are the only chimney sweep and fireplace inspectors in Houston that have a store and do not work independently from vans. Trust and reliability is an important consideration when dealing with fireplace issues. We have a proven track record with 60 years in business and a convenient location to server all of your needs. We are Surety Bonded and Insured for your Protection. Delivery also available to the Greater Houston Area. Add a chimney cap to the top of your chimney. A cap can keep out damaging moisture, which wears away masonry and other metal components within a chimney. Ensure that your chimney has an appropriate liner. Chimney liners are required in new construction to separate system emissions from the structure of your home. 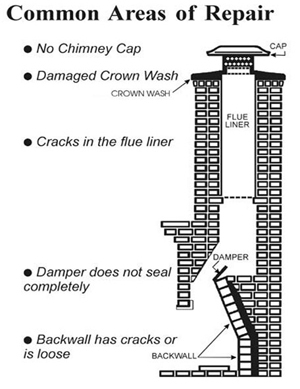 Have chimney flashing (the seal between the chimney and the roof) inspected and maintained. Flashing prevents rain water and snow melt from entering a house and causing costly damage to walls and ceilings. The National Fire Protection Association (NFPA) also recommends that all chimneys be inspected on an annual basis to prevent chimney fires.